The University of Tennessee Volunteers are my team and I'm absolutely elated that it's finally football season. 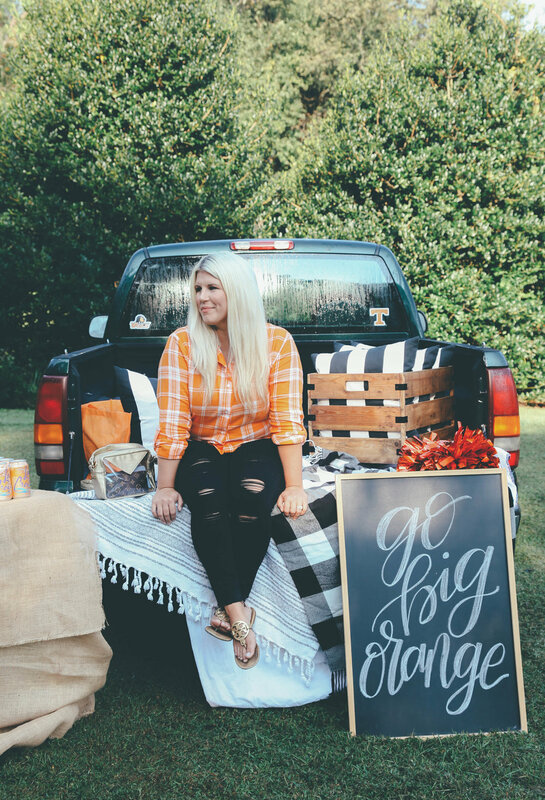 I wanted to share some ways to inspire your tailgating setup to be a little more Tennessee Pretty. Get cozy. 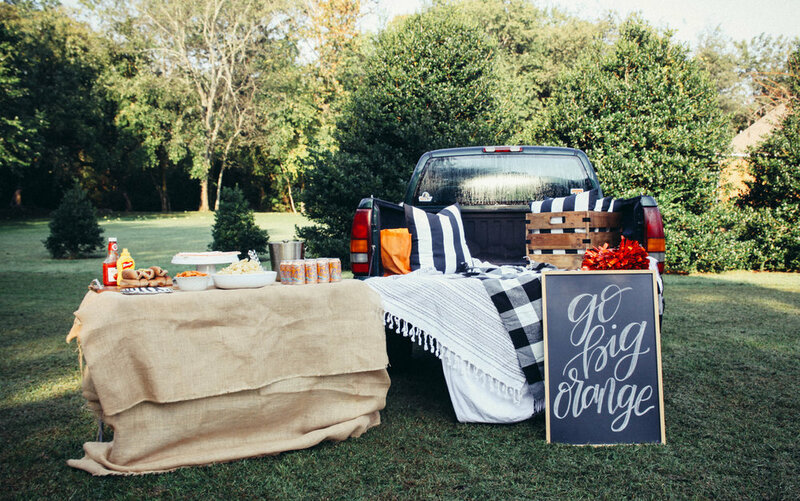 Make the tailgate your home away from home. Lay out some cute throw blankets and pillows to make it more comfortable. 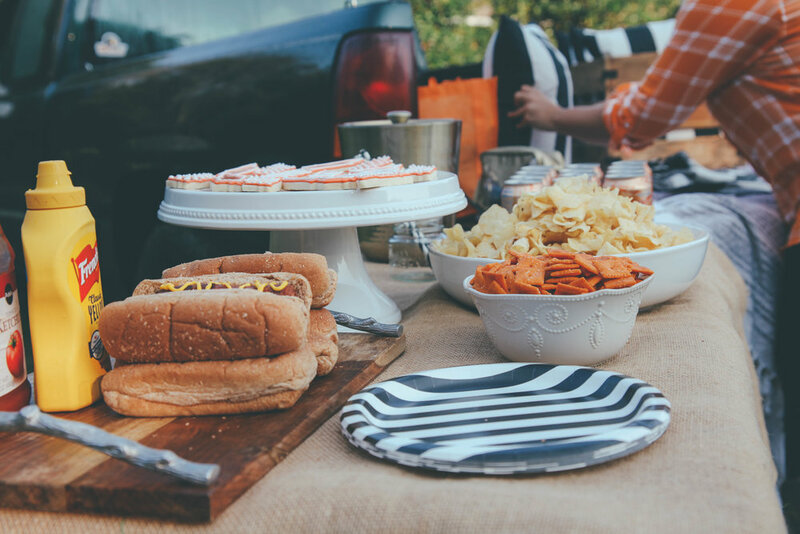 Use your team colors on the food table. Lucky for me, they make orange La Croix and cheezits. Be inspired by your team colors when you're at the grocery store before the game. 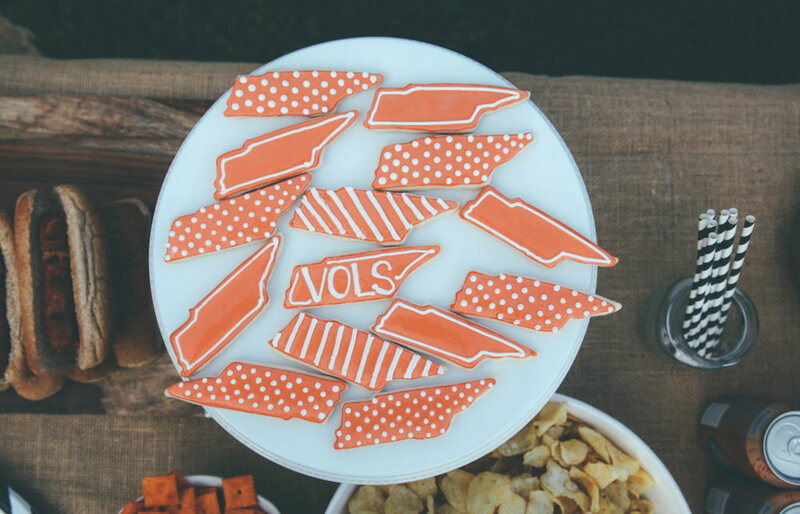 And double duh, I had to make some UT sugar cookies! How cute are they? They were a major crowd pleaser on gameday. Obviously, for those of us gals who get to go to the game, we need a great stadium purse! I love mine from Packed Party. 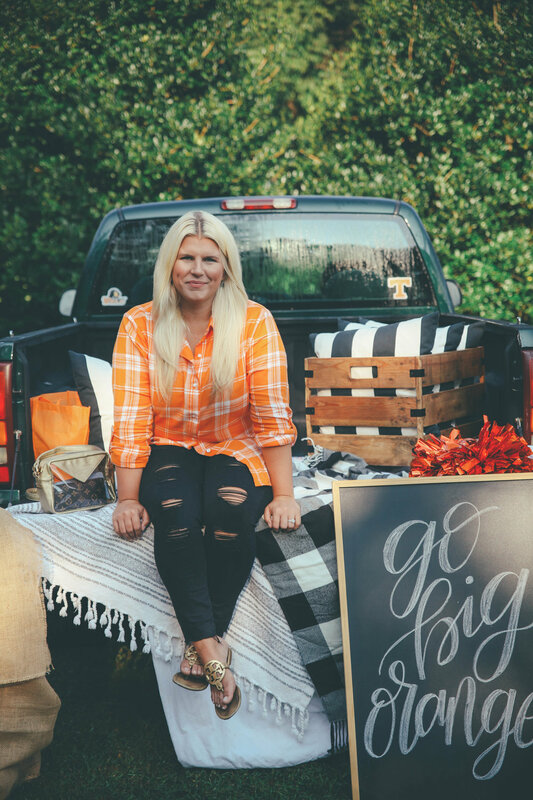 So whether or not you're tailgating in your backyard, like I am in these photos, or in the parking lot at Neyland, use some Tennessee Pretty tips at your tailgate! Huge shoutout to Brittany Wood for these amazing photos!